As if I haven't penned enough editorials on the subject of 2 and 4-strokes' weaknesses and strengths, here we go again! 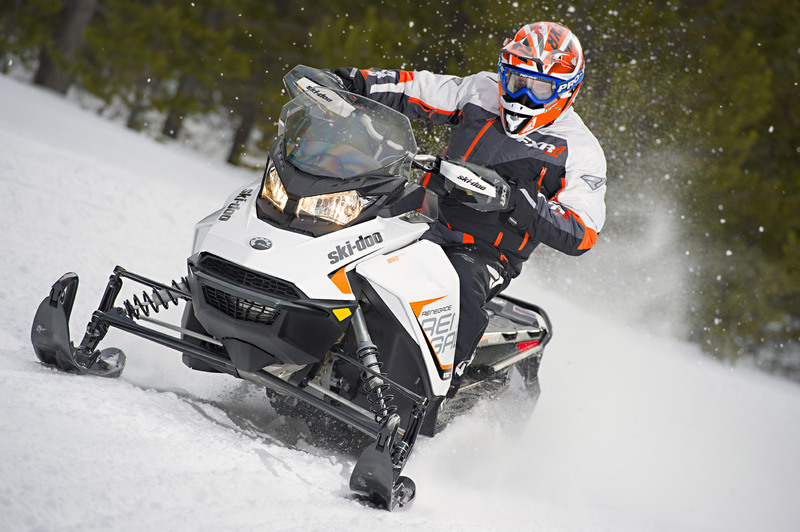 Actually, you can blame Ski-Doo and Rotax for this diatribe. It was Ski-Doo and its Rotax engine division that blew the lid off the whole "good motor - bad motor" argument in MY17. 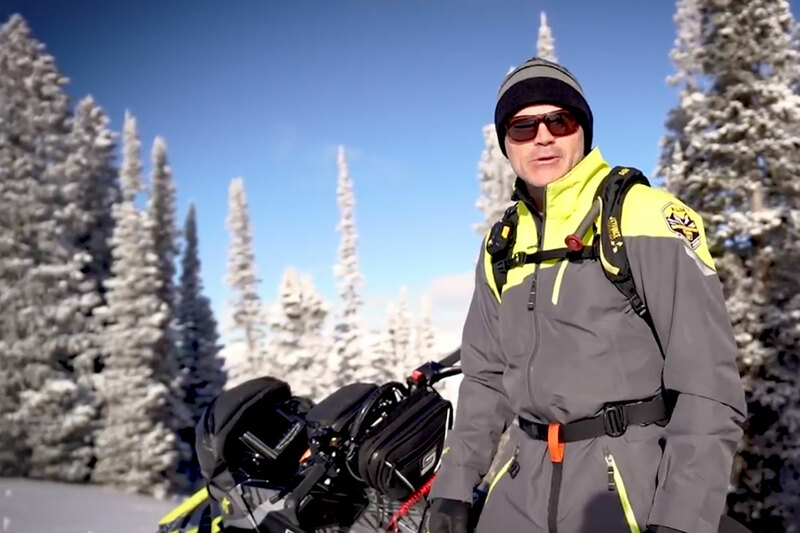 You heard it, we heard it: Ski-Doo made the outlandish statement its new Rotax 850 2-stroke, the powerplant of the future for the all-new G4 chassis, would deliver durability rivaling an equivalent 4-stroke. I don't know about you but when I first heard this claim at the intro of the G4 in Riviere Du Loup, Quebec in January 2016, I was pumped. I am a bald faced proponent of 2-strokes. In my view, they are truly "snowmobile-centric" powerplants. Conversely, 2-strokes are being replaced in virtually every other powersport genre by 4-stroke engines. Still, in our sport, the inherent advantages of 2-strokes are so compelling, investment in 2-stroke engine technology continues. Need proof? Polaris' 800 HO, Arctic Cat's DSI 600 and 800 and, of course, Ski-Doo's successful E-TEC duo. That's not to say I'm anti-4-stroke. New stuff in the market like the imposing Yamaha/Arctic Cat turbocharged and intercooled 998cc triple definitely ignites my testosterone on an acetylene torch heat level. There are other 4-stroke engines that capture my interest no matter how much I resist, however, when they’re compared to similar output 2-strokes, in the back of my mind I'm thinking: "Why bother?". Lately, I've taken the opportunity to ask a number of movers and shakers in the engineering world what they perceive the future of snowmobile 2-strokes engines might look like. One I asked is Rotax VP, Thomas Uhr, on a recent trip to Rotax's home in Gunskirchen, Austria. Thomas is an insightful and likeable guy who answered my inquiry about the future of 2-strokes with this succinct and insightful quote: The 2-stroke engine is far from dead"! The issues Rotax addressed that ultimately allowed Ski-Doo to make the almost outlandish claim of 4-stroke durability, when examined closely, make sense. The 850 uses a forged crank, automotive in nature, and employs cast iron ring lands in its forged aluminum pistons: Diesel engine stuff. The 850 has pinpoint oiling nozzles shooting lubrication under the piston to the small end of the rods. This addresses a decades-old 2-stroke weakness. These features, when rolled together, make the Ski-Doo claim of 4-stroke durability entirely credible. Despite the argument I've made for continued 2-stroke power in sleds, there are limitations. It's pretty clear ultimate performance turbocharged snowmobile engines producing 180 to 200-horsepower in MY18 are the exclusive domain of 4-strokes. Turbocharging 2-strokes, although possible, is not likely to happen in today's world of EPA mandated exhaust emissions. The very nature of pressurized induction, whether achieved with an exhaust driven turbo or a gear driven supercharger, pushes too much unburned fuel charge out the 2-stroke's exhaust port before the rising piston can close it off. The result is hopelessly dirty emissions. Yes, 2-stroke turbos do exist but none are consumer-available on production powersport engines. I think snowmobile buyers value the inbred traits of both 2-strokes and 4-strokes using solid knowledge to make their purchase decisions. 2-stroke buyers appreciate light weight, low maintenance and imposing power-to-weight ratios. Many 4-stroke buyers line up behind the reliability-durability flag and appreciate not carrying oil when on tour. What's confounding is the amazing fuel economy Ski-Doo's E-TEC 2-strokes consistently card. Arctic Cat's Dual Stage Injection (DSI) 2-stroke also delivers strong mpg. Up until the arrival of the Ski-Doo ACE 4-strokes, the best fuel economy in any horsepower category was attributed to the Rotax 600 E-TEC. Here's the good news: It looks like this debate will rage on for some time to come. If Thomas Uhr is correct - and I wouldn't bet against him - we should be enjoying 2-stroke power with improved durability for some time. 2-stroke Versus 4-stroke Argument Still Hot!